I felt the sun beating down on me and the heavy weight of my diving gear on my shoulders as I stared at the never-ending stretch of pier before me. It was my first time diving; the destination - Rye Pier. I was told by my dive instructor not to expect too much; it was unlikely we were going to see anything apart from crabs, a few fish and a ray if we were lucky. However, it was a good place to begin learning the art of scuba diving, so with low expectations I stepped off the pier and into the water. As we began our five-metre descent I was overwhelmed. Looking off the edge of the pier into the water, one couldn’t even begin to imagine the amount of life that has found a home in these waters. Bright orange sponges and delicate red and brown seaweeds form an intricate collage that envelopes the pillars and guides the path to the sandy expanse at the bottom of the pier. Schools of porcupinefish dart across your path, seahorses curl their tails, clinging to the foliage lining the ocean floor, and crabs decorate the pillars. It really is another world. My instructor explained that he had heard of a human-made sculpture park, Elsa's Reef, just past the end of the pier. Following the flag markers just off the end of the pier, we swam along the sandy flat. The small journey wasn't without some incredible finds. Nearly every flag had an octopus, camouflaged to match the sand, hidden at its base. Little skates darted along the sand and we even spotted a few Banjo Sharks. The reef itself was striking. 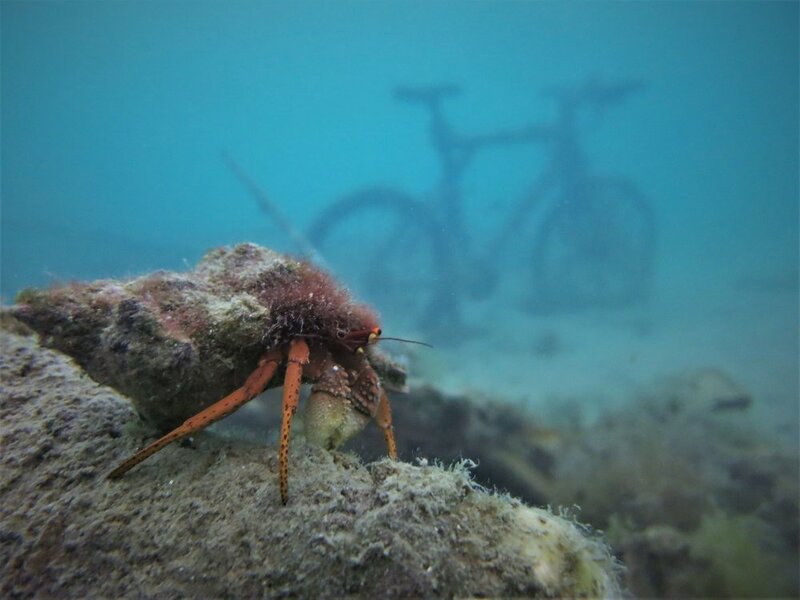 An abandoned bike, a trolley and other objects that made up the reef were completely overtaken by nature. Beautiful seaweeds and crabs of all sizes coated the structures. Schools of fish swam around, even curious enough to swim between our hands and legs. Perhaps a feeling words won't be able to capture was the moment I lay on my back on the sandy ocean floor. I looked up through the five metres of water above me, admiring how the sunlight filtered through and touched the ground. The only sound was my own breathing. It was this experience that told me I would be back in this underwater world again. It is one of the most peaceful places we can venture with so many wonders. Swimming back along the pier I couldn't help noticing the undeniable human impact leaching into the beautiful habitat. Littered along the bottom of the pier were the abandoned lines and hooks of fishers. We even found an octopus who had taken up residence in a littered tin. It was as I was struggling to untangle a hook and line that had caught on my gear that I noticed the thrashing in the corner of my eye. A Banjo Shark was entangled, desperately swimming against the lines that constrained him. Drawing closer, I realised that the shark was stuck due to a hook in its mouth. A fisher had obviously caught it and thrown it back alive without removing the lines that would inevitably entangle the fish and stop it from hunting to survive. 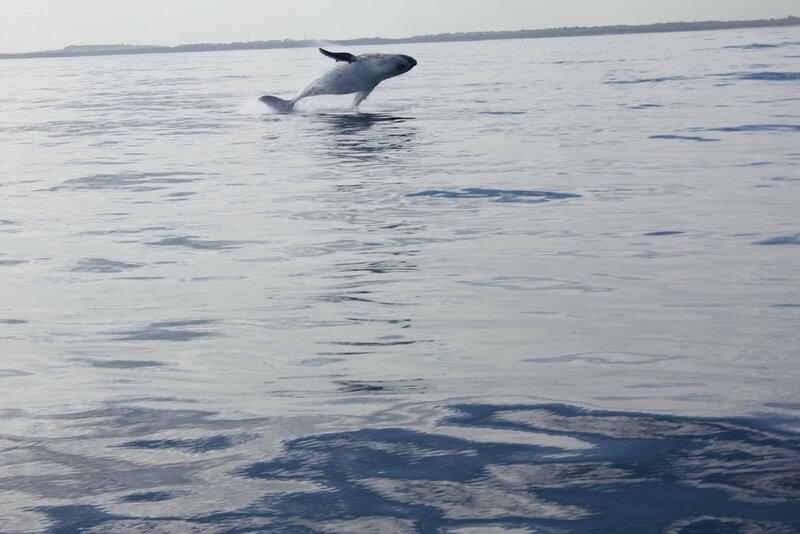 For me, this dive was another reminder of the importance of protecting our natural world. Though life may seem scarce when looking off the pier into the water, we must remember that underneath is a whole world of life. Properly releasing fish and avoiding discarding waste into the ocean is something we can all do that makes a big difference to life down there. Re-surfacing and walking back along the pier my gear felt light. I had just had my eyes opened to the marvels of the blue backyard at our doorstep. I leave you with the goal to try scuba diving for yourself and experience the wonders of the marine world beneath Rye Pier. Monica Coleman studies Science and Arts at Monash University. She grew up spending time in nature, traveling, reading and fostering a guilty pleasure for reality TV. She hopes her future will be dedicated to the fight to protect our environment and lives by the motto it's not a good day if you haven't learnt something new. Banner image courtesy of Edison Sands.